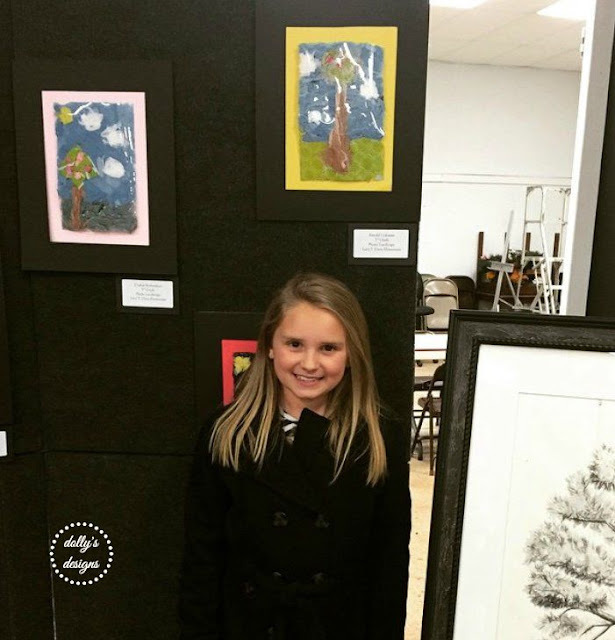 Today I'm sharing Kyndal's Art Exhibit that was held the month of January. I apologize for the delay but have wanted to share for some time. Those of us that have creative blogs know how we collect projects. We have so many things going on in our creative circles and in our minds that sometimes things are put into a special place. They are not forgotten only held until later. Join me as I share this art project from my little niece Kyndal. Bloggers Make The Best Friends!